The Premier League is back and is ready to really kick in. The two crucial international breaks are past us and the clubs have been playing for a couple of months now. The main part of the season is upon us and we will be in for a treat – the North-West Derby of England. Liverpool will host Manchester United at Anfield this Saturday early kick-off in what could be a defining match for both clubs. Manchester United have started almost perfectly this season after winning two trophies last year. 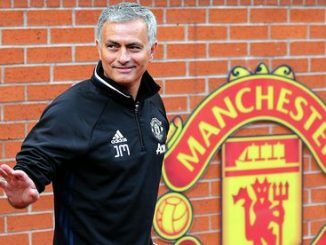 Now, Jose Mourinho is going to be tested if his Man United team in his second season at the club can reach the heights worthy of the club’s name. On the other hand, Liverpool are celebrating two years under the guidance of Jurgen Klopp and will be wondering if that was a great move. In the first 24 months at the club, Klopp has improved Liverpool, but the real questions lay ahead. Can Liverpool make a bigger impact in the Premier League? After winning just 12 points in first seven matches, Liverpool cannot allow another loss, which would leave them 10 points behind the big rival. Jose Mourinho obviously had a lot of material to look at during the international break. Especially since Liverpool have been far from ideal this season. Their mistakes have been a subject of discussion for more than a year now. Klopp has not managed to improve the team defensively and Manchester United should exploit that. Liverpool have been known for leaving too much space to opponents. Their usual 4-3-3 formation without a real deep-sitting midfielder has been leaving the centre-backs quite exposed. Combined with high-pushing full-backs, it is easy to see why Liverpool have been conceding that much. Therefore, Mourinho will probably try and negate the space around Man United’s box. That would leave the pacey players like Roberto Firmino and Mohamed Salah without the needed space. This could later prove quite important. Negating the space for Liverpool and letting them have the ball in unimportant areas could potentially open those spaces for Manchester United when going forwards. Swift transitions and counter-attacks have proved to be deadly for Liverpool so far. 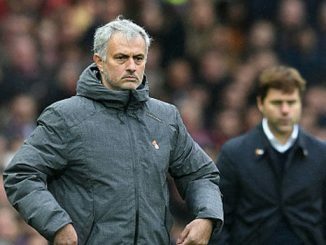 With Marcus Rashford, Anthony Martial and Romelu Lukaku at his disposal, Mourinho could find his way around the shaky Liverpool defence before they even realise what has happened to them. The set-pieces are never your main way of scoring goals. Unless you are Tony Pulis, that is. However, they are a very useful tool that can decide tight matches. And that is another area Liverpool have been terrible at this season. More importantly, Manchester United are very organised at both ends of set-pieces and could punish Liverpool from these chances. Lukaku, Phil Jones, Eric Bailly and Nemanja Matic are all a strong presence in the air. In combination with Liverpool’s disorientation in the box and lack of strength, it will not be a great surprise if Manchester United nick a goal after a set-piece. On the contrary.